Home » Crossbow News » How Quiet Is The Excalibur Micro Suppressor Crossbow? How Quiet Is The Excalibur Micro Suppressor Crossbow? Ask anyone who’s fired a crossbow or watched someone fire a crossbow and the word NOISY often comes to light. It’s a fact that crossbow hunters have come to accept. Compared to compound and traditional recurve bows, crossbows are loud. The engineers at Excalibur took a step by step approach to making crossbows quieter. Instead of focusing on one specific design tweak as a means of muffling that tell-tale limb snap, Excalibur instead focused on paying close attention the little things that all add up in the end. Built on the popular Micro 355 platform, the new Micro Suppressor delivers incredible performance into an ultra-compact design. Featuring the all new Sound Deadening System, this includes an over-moulded rubberized stirrup and hold down spring, Ex-Shox, String Stars, and R.A.V.S. (Recoil Anti-Vibration System) silencers for deadly suppressed performance. The five-component package works in sync to dramatically reduce vibration and noise when the crossbow is fired, resulting in a much smoother shooting experience and effectively increases your success in the field. The Micro Suppressor features the comfortable and lightweight Bullpup Ready Rest stock, reducing the overall length of the crossbow by 2.5 inches. The Ready Rest stock comes complete with rubber grip inserts for unmatched control and feel. This micro sized crossbow is loaded with rubber coated components resulting in less overall noise during the drawing, loading and firing steps. It all adds up to a super quiet hunting crossbow that also handles especially well with the bull-pup forward trigger design aiding in balance and helping to prevent nose dip. If having an incredibly narrow, compact and quiet crossbow isn’t enough, we have included the new X-Hanger quiver that features a quick-detach, lightweight carbon design for versatility and optimal manoeuvrability. The X-Hanger attaches to a three sided tactical Picatinny rail allowing for additional accessory attachments. The Micro Suppressor comes with an ambidextrous cheekpiece, oversized finger guards and the Guardian Anti-Dry-Fire System for the ultimate in safety and protection. The Micro Suppressor’s compact size and silenced shot make it the most revolutionary crossbow on the market today. Deer Urine Scents Spreading CWD? TotalCrossbow.com is a participant in the Amazon Services LLC Associates Program, an affiliate advertising program designed to provide a means for sites to earn advertising fees by advertising and linking to Amazon.com. Additionally, TotalCrossbow.com participates in various other affiliate programs, and we sometimes get a commission through purchases made through our links. 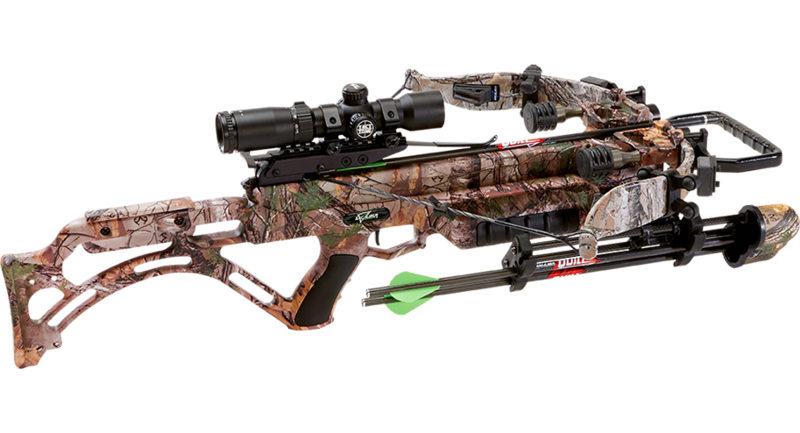 2019 TotalCrossbow.com. All rights reserved.